The INTERNATIONAL WIRONIUM® CIRCLE – or I.W.C. for short – is a worldwide association of leading dental laboratories, which all share a common aim: the production of first class dental laboratory work using top-quality materials. 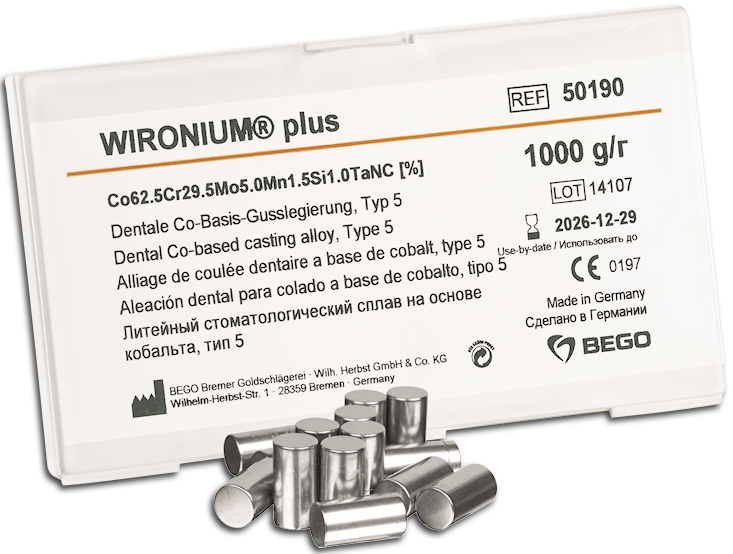 WIRONIUM®, WIRONIUM® plus and WIRONIUM® extra-hard are cobalt-chrome alloys for all aspects of the partial denture technique. Biocompatibility thanks to selected high-purity alloy components and deformation-resistant prosthetics, which can withstand even extreme masticatory loads. 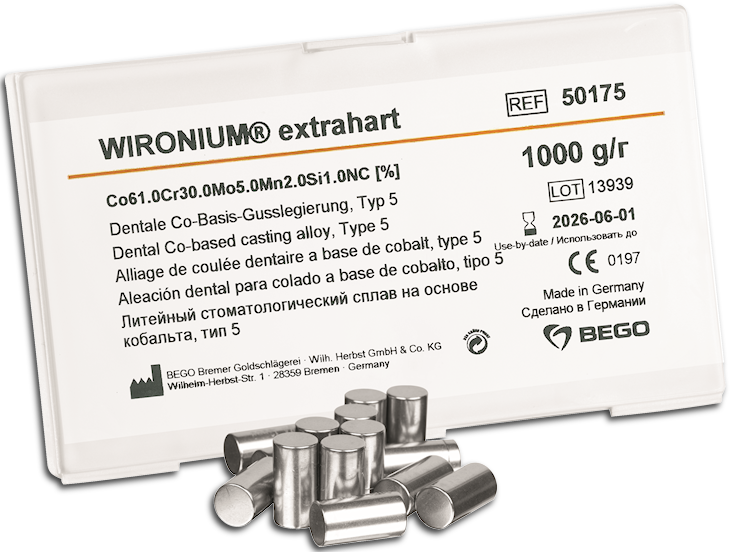 From the clinical viewpoint, the quality of the WIRONIUM® alloys is the basis of perfect solutions − in both technical and aesthetic terms − for an extremely wide variety of cases. The WIRONIUM® alloys are used in a specific and precisely coordinated material chain, in accordance with the successful BEGO partial denture system. The advantage for you: partial dentures made from WIRONIUM® offers an impressively accurate fit even with slender design and give the patient the certainty of reliable function, wearing comfort and long service life. The I.W.C. quality symbol indicates to the dentist that your laboratory is constantly expanding its know-how and employs the latest materials and equipment.